Time to get back into the groove. 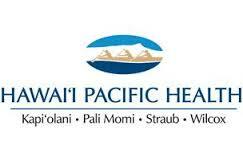 Tune in every Thursday, 1:00p – 2:00p HST, for the Straub Health and Wellness Radio Show on ESPN 1420 AM, Honolulu, and on http://www.espn1420am.com. This show covers topics as it relates to your general well being, sports and recreation, training and injury prevention, and life activities. This Thursdays’s show (May 14, 2015) guests will include former University of Hawaii baseball player and assistant coach Ron Nomura talking baseball, training to be a catcher, and (no pun intended) “catching” up with him and fellow Rainbow baseball alums.